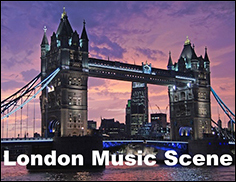 LONON (Hypebot) – As an alarmingly increasing number of live music venues are closing owing to financial challenges and it becomes harder for artists to find venues to play, the Mayor of London, Boris Johnson, is establishing a task force to keep the city's music scene alive. Live music everywhere is facing a crisis, as venues continue to close left and right. In some cases, the real estate is too expensive to sustain a club or bar, and in other cases, it's the neighbors complaining about the noise. In many other instances the club struggles to draw enough of a crowd to stay in business. Whatever the reason, there are fewer and fewer places for artists and bands to perform, which robs them of the opportunity to hone their chops in front of an audience. London mayor Boris Johnson is taking action though, alarmed at the large number of music venues that have either closed or are facing closure in his city. The Mayor has set up a task force to work with venues, musicians, the Ministry of Culture and just about anyone else that's interested in an effort to keep London's music scene alive and well. Whether the task force will be successful is yet to be seen, but it's an admirable attempt to even recognize the problem in the first place. It would be great if US cities would do something similar, but don't hold your breath, as its low on the list of priorities for most US mayors.